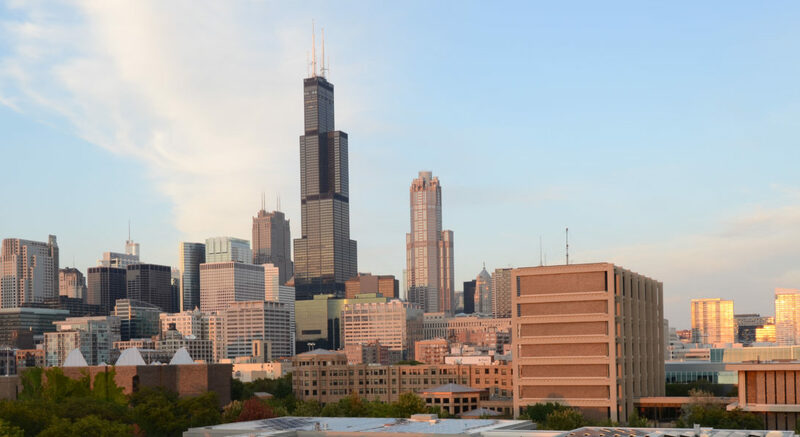 The Master in Urban Planning and Policy (MUPP) program at UIC is the only professional planning program in the Chicago metropolitan area that is fully accredited by the Planning Accreditation Board. With a large and diverse faculty and student body, the MUPP program offers a comprehensive range of courses, including many specialized electives and studios. Class sizes are typically small, with multiple sections of required courses offered in both day and evening. Graduates can connect to a large network of alumni, both locally and across the region, country, and world. Current students should consult the MUPP Handbook, linked below, for information on how to request a waiver of a required course. Five areas of specialization are offered to students of the MUPP program. At least one specialization must be completed, but there is room in the curriculum to pursue two specializations if desired. Students may pursue a specialization set by the department (listed below) or they may develop a user-defined specialization, subject to advisor and department approval. Students wishing to pursue a specialization of their own design should consult with their academic advisor. Twelve (12) semester hours are required to complete each specialization, however each has varying course requirements. The Professional Practice Internship (UPP 590) consists of 300 hours of fieldwork. All internships allow students to build their professional network and apply their skills in real world planning situations. Chicago offers a multitude of internship opportunities ranging from government agencies and regional planning organizations to community groups and private consulting firms. Although most students do their internships in the Chicago area, students may also seek an internship placement in another U.S. location or even a foreign country. Beginning with our Fall 2018 cohort, MUPP students will be required to prepare an Urban Planning Portfolio to fulfill the requirements of the MUPP program (replacing the former requirement of the Master’s Project). Most portfolio materials will come from excerpts and refinements of previously completed UPP coursework. In addition, the portfolio will include newly developed reflective documents, such as a professional statement, goals, and a resume. The portfolio encourages student reflexivity and self-assessment and ultimately provides graduates with a useful career tool by demonstrating knowledge, skills, and capabilities to prospective employers. Students take UPP 595 Portfolio Development Seminar (2 credits) in their final semester of the program, where they receive guidance on developing the portfolio. A completed and approved portfolio is necessary to pass UPP 595. In lieu of the Master’s Portfolio, students have the option of writing a thesis. The thesis is a more traditional piece of academic research and differs from the portfolio with respect to content, credit hours, and advising. The thesis frequently involves the analysis of historical materials and use of secondary sources. An exploration of planning theory or research methods would also be appropriate in a thesis. Students interested in pursuing the thesis option should consult with their faculty advisor early in their final year of the program. Degree-seeking students are governed by the policies and requirements in effect during their first registered semester of the program. Official policies are detailed in the student handbooks, which are specific to each cohort. Prospective students: Please feel free to explore the handbook to learn more about the program. Please note that program requirements and/or policies may vary in future years. Current students: Please consult only with the handbook that corresponds to the year you began the program.